If you remember Batman before the days of Christian Bale’s gravelly-voiced portrayal, you’ll love the comically kitsch stylings of Playtech’s retro-themed video slot homage, the Batman and Catwoman Cash slot machine. 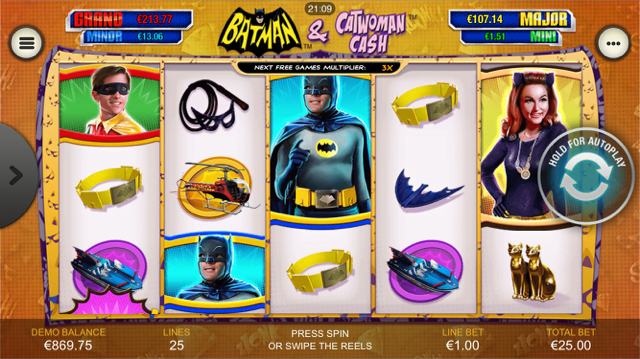 A five-reel, 25 payline game that provides access to four progressive jackpot prize pools, the Batman and Catwoman Cash slot takes its inspiration from the 1960s TV show starring Adam West and Burt Ward. Both characters appear as stacked symbols on the reels alongside Julie Newmar’s Catwoman, with all manner of gadgets and vehicles accounting for the lower value icons further down the payscale. 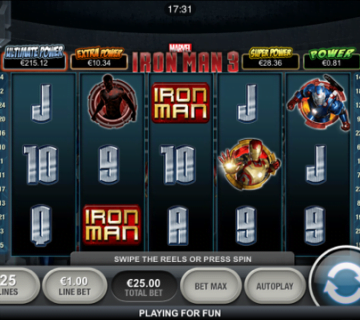 Available to play from as little as £0.25 per spin across all desktop, mobile and tablet devices, Batman and Catwoman cash is connected to the DC Super Heroes Jackpot and can award life-changing payouts on any given spin. Additionally, players can also get their hands on cash prizes and multipliers in the Cat Burglar bonus and free spins with super stacked symbols in the main feature. 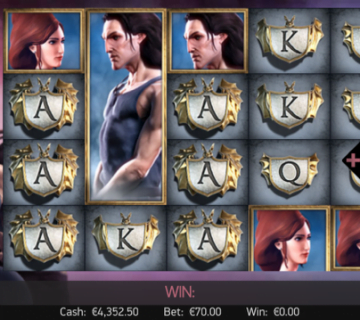 The Batman and Catwoman Cash slot utilises a very simple bonus system to award both of its main features. In order to trigger either, players simple need to land “BONUS” scatters on reels one and three to trigger the Cat Burglar bonus or reels one, three and five to activate Batman vs Catwoman free spins. 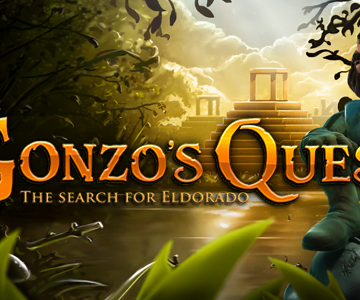 The first incentive merely requires players to click one of the bonus symbols to reveal either a cash prize or a multiplier increase which will be saved until the free spins are triggered. 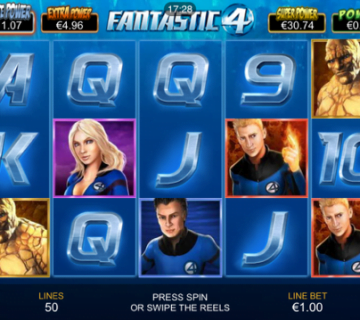 This multiplier can reach a maximum level of 5x and when players enter the free spins game, they’ll also get to choose from two sets of boxes – one dictates their number of games and the other selects a stacked symbol. Although there are naturally some huge winnings to be had when entering this feature with the maximum multiplier, the main selling point of Batman and Catwoman Cash is the DC Super Heroes Jackpot. 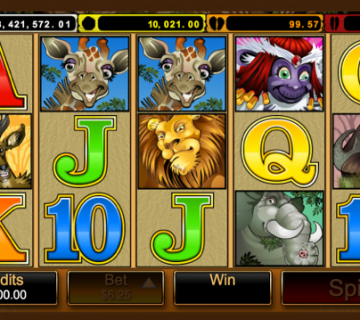 Randomly triggered on any base game spin, this takes players to a new screen where they must match coloured spaces to win one of four prizes, with the Grand jackpot offering the top win. 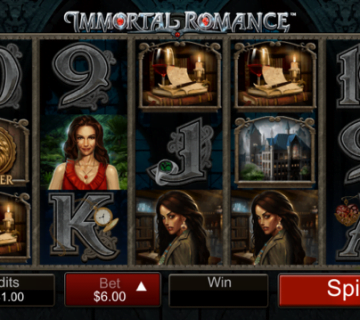 A fun and fast-paced slot that features all of the camp charm of 1960s series it’s based on, Batman and Catwoman Cash is a must-play title for any super hero fans looking to secure huge prize payouts.